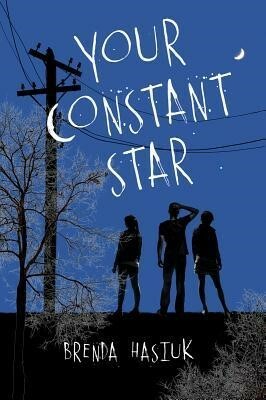 Brenda Hasiuk’s YA novel, Your Constant Star, opens the first of its three sections by introducing readers to Faye. Adopted from China by a Polish mother and a Scottish father, Faye is “pretty much happy ho-hum.” Still, she possesses a lingering feeling of displacement in light of being adopted, especially in regard to the frequency and state of child abandonment in China. Faye provides many lovely cultural details throughout her narration, such as the Chinese story of lovers being connected, however far apart they may be, by a red string. These details make Faye a believable and compelling character. Next readers meet Bev, Faye’s self-proclaimed sort-of friend. Bev is pregnant and has decided to give her child up for adoption. She has recently returned to Winnipeg after living in Vancouver for many years, and is reconnecting with her childhood and with Faye. Much of the novel’s second section follows Bev in her attempts to choose the right adoptive parents for her baby, with Faye tagging along for the ride. The third section is dedicated to Mannie, the father of Bev’s baby. He seems completely lost, though readers learn that he has given up carjacking and dealing to make pizzas in order to earn legitimate money that will help support his future baby. Bev doesn’t want him to know who the adoptive parents are, and part of Mannie’s quest concerns his efforts to contact Faye and learn of the whereabouts of his son after the adoption takes place. Overall, this is a book caught in liminal spaces – between beautiful and brutal, between cultures, between times, and between genres. As for the cultural divide, there is a clear focus on globalization. It seems like no two characters in the novel have the same background. They are Chinese, Polish, Scottish, Métis, Russian, Argentinean, Pilipino, and they are all, with one exception, Canadian. Characters are constantly being whisked around the country and around the world to China and Russia, Toronto, Calgary, Vancouver. Still, this is a very Canadian novel, a very Winnipeg novel. It is a novel about Canada and how the country, and Winnipeg itself, is a melting pot of cultures from around the world. This is also a novel that spans not only distance, but also time. It is full of flashbacks and daydreams. Present events always seem to be fuelled by memories. Hasiuk weaves a web of time that pulls the reader through these characters’ lives, giving us an intimate look at their complexities. The flashbacks are so many and so smooth that the present becomes a bridge between memories, the reader scarcely realizing they’ve crossed it until they are on the other side, looking back. Though this could be confusing or slow the pacing, Hasiuk handles these instances beautifully, successfully adding layer upon layer of depth to these characters and their histories. And as for the genre divide, Kirkus Reviews published a piece in which the book’s YA classification was questioned, because so much depends upon the teenagers’ parents and situation in life, leaving them little room to act. And while these characters may be affected by the past, they feel liking living, breathing teens in the present. Certainly it’s important to remember that people are a culmination of their pasts and their families, and therefore what Brenda Hasiuk provides in Your Constant Star is an honest look at young people’s lives. The novel reads very clearly as one for young adults, a book about the struggle of young people finding their place in a complicated, globalized world in which they have been displaced since birth. Each character is halved by culture, by distance, by borders, and is searching for their true self at the other end of the red string. Will J Fawley is a writer and blogger living in Canada. He blogs at The Wildest Edge. This entry was posted in At the Margins, Review and tagged At the Margins, Book Review, Brenda Hasiuk, Canada, Fiction, globalization, Orca Book Publishers, teen pregnancy, teens, The Wildest Edge, Will J Fawley, world citizenship, YA Literature, Your Constant Star. Bookmark the permalink.